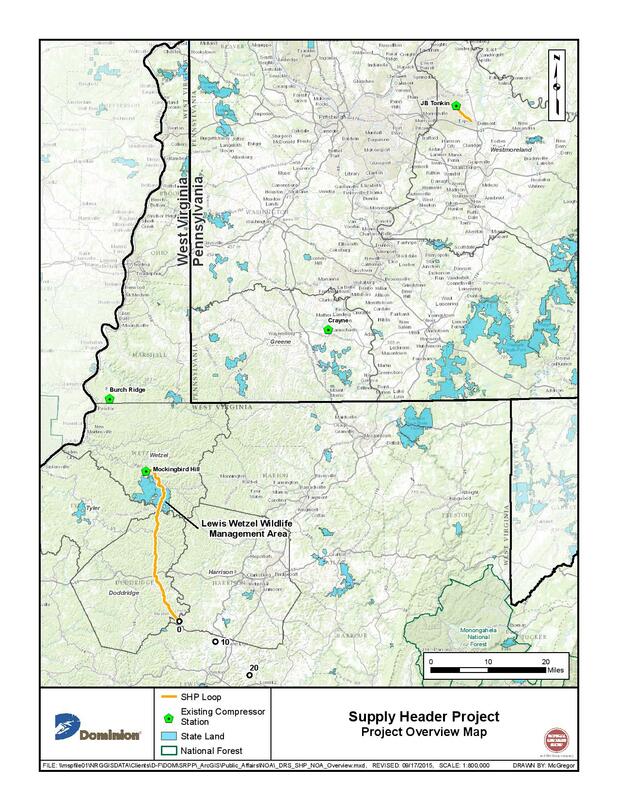 FERC has approved Dominion Energy Transmission, Inc.’s request to commence certain limited tree-felling activities associated with the Supply Header Project at the following locations along Spread 13 in West Virginia. The Supply Header Project includes 37.5 miles of natural gas pipeline and the modification of existing compression facilities in West Virginia and Pennsylvania. The project is expected to be placed in service towards the end of 2019.